Full Disclosure: I am not a certified financial planner, nor do I sell investments, insurance products, or other similar financial products. My goal in sharing this information is to shed light on a topic that few people understand well. It is my hope that this information will help inspire more people to climb the I Was Broke. Now I’m Not. Ladder (download a free copy HERE) and become wise investors so they can live fully funded lives. It’s that time of year again where I review my current investments and take a moment to philosophize about the future of investing. Just as a farmer can not have any hope of a harvest if seed isn’t put into the ground, we can not expect to reap a financial harvest if we do not invest! In May, I will have been an active investor for 22 consecutive years. That is half of my life! For the first six years, I invested exclusively into market-based investments via a company retirement plan (401k), college savings plan (529), and a small stock trading account. Since that time, I have diversified into real estate and small business along with a dabbling in precious metals. This approach has yielded excellent results. As I prepare this report each year, I always take time to review previous updates I have provided. A statement made in my 2007 update bears mentioning again: “Many people are diversified WITHIN the stock market. It is also important to be diversified OUTSIDE of the stock market.” I encourage all investors to invest within the stock market, but to also explore other investments such as real estate, small businesses, franchises, or precious metals. Below is a chart of my current investments – click on the chart itself to download a printable version. The market experienced amazing growth over the past year. From my last update on March 30, 2017, the markets have soared. Aided by decreased regulation, major business tax reform, increased consumer confidence, increased capital spending, a fully employed workforce, and an improving worldwide economy, all of the major market indices have experienced substantial growth. The Dow Jones Industrial Average has increased 20.01%, the S&P 500 by 16.90%, and the NASDAQ by 28.24%. Throughout the year, I continued to actively trade stocks. I have sold several individual stocks while deepening my investment into others. Overall, my investment strategy has continued on a straight-forward path of maintaining a balanced portfolio with approximately 32.64% real estate, 27.01% small business, 24.66% stock market and 11.57% cash. Stock Market Strength There has been significant earnings growth which has supported a substantial increase in company valuations. One key measure to track is the “P/E Ratio” – Price-to-Earnings. This is the ratio between share price and the earnings per share. Currently the DJIA is priced at 26.17 times earnings (it was at 21.12 last year!) and the S&P 500 is priced at 25.86 (it was at 24.68 last year). This is not sustainable. One of two things must happen: earnings must increase substantially or share prices will drop. My belief is that a combination of the two will happen. Earnings will indeed grow due to tax reform while share prices will moderate to achieve a more reasonable P/E. (Side Note: My weighted balance P/E Ratio for my individual stock investments is a more acceptable 14.58). While I could be wrong, it is difficult for me to see major growth within the stock market in the near future. Turmoil and Roiling There will be deals available in public markets, but I suspect they will be related to companies that experience major breakthroughs in new products or services. Amazon is one of those companies that seems destined to completely redefine consumer behavior in multiple industries. Most of my mutual funds hold a substantial position in this company. “The Investment Company of America” [AIVSX] holds it as their third largest holding (2.7%), “Fundamental Investors” [ANCFX] holds it as their second largest holding (3.8%), and it is the top holding (6.9%) for “The Growth Fund of Ameria” [AGTHX]. Interest rates will be going up which will create earnings pressure for highly leveraged (meaning: lots of debt) companies. You can see the debt load of a company by looking at their Balance Sheet. Oil prices have been creeping up as well. This can create pressure on earnings also for companies highly dependent upon transportation of their goods or for delivery of their services (think: airplanes, freight companies). Deals will be found – but they will have to be looked for! As I travel throughout the nation, I still see enormous amounts of building activity. Cranes in the skyline of every major city, new subdivisions being constructed, and lots of activity in the mortgage industry. The travel industry is on fire with hotel, car rental, cruises, and air travel all issuing price increases. Will this be able to continue to grow? If the answer is yes, then we must ask the next question: will it be able to grow profitably? Tax Reform With more money going into the pockets of an estimated 87% of tax-payers (figures vary), I’m confident that Americans will do what they do very well: spend more money. This will continue to stimulate the economy with a measure of growth. I will continue to invest in both individual stocks, index funds, mutual funds, real estate, and small businesses. Occasionally, I might pick up some shiny metal (the silver-colored one) along the way. I welcome your thoughts on the investing market place as well. What do you think? What are your strategies? I found Warren’s discussion of comparing hedge fund investing with index funds to be very compelling. I dare you to go read it. It begins with the last paragraph on page 21 and continuing through page 24. I found it to be both wildly entertaining and tremendously enlightening. In his 2017 letter, Warren writes the concluding piece to this discussion and “the bet.” I triple dog dare you to go read it. It begins with with the third paragraph on page 11 and concludes on page 14. 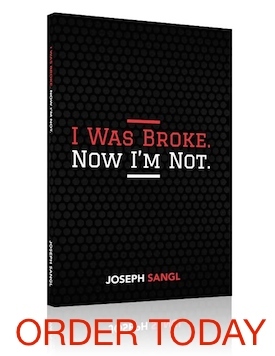 Read previous installments of Joe Sangl’s “Current Investments” posts HERE.